In Motorway or motornay? 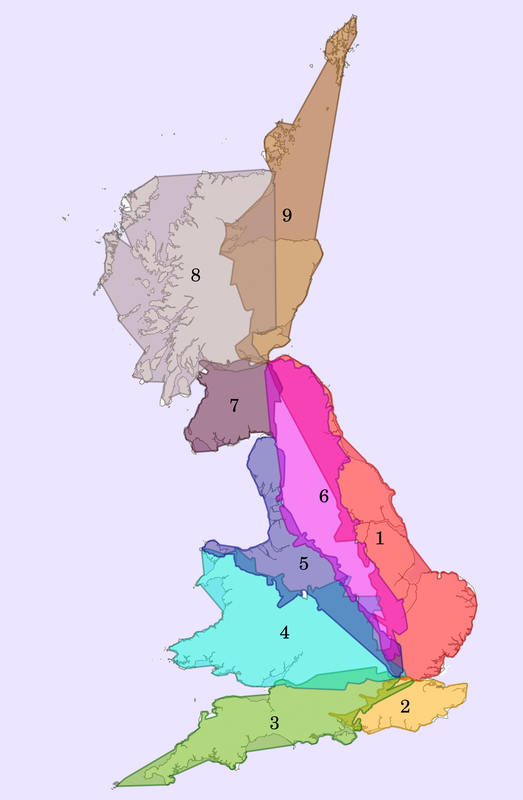 I coloured UK roads by the first number in their name. 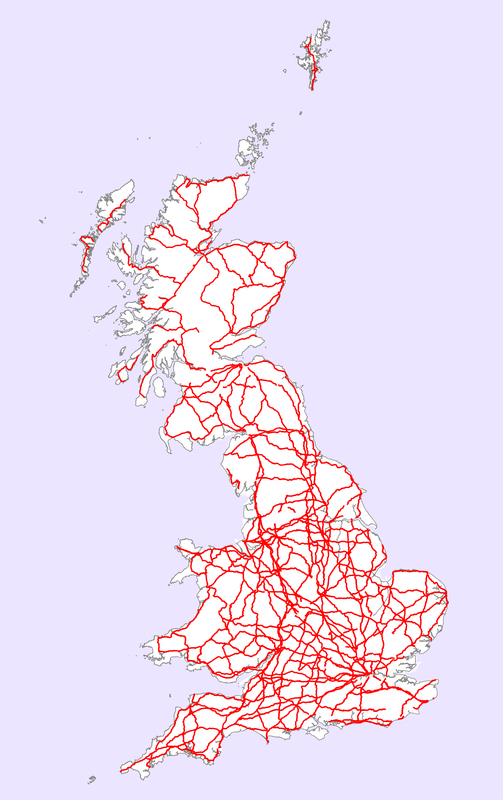 To make the nomenclature clearer I have grouped these roads into regions, then coloured the map below. A good friend (about to move away – boo) taught me the car game motorway or motornay? in which players take it in turns to guess the veracity of suggested motorways. This is a game for fairly boring journeys. The game started me thinking about how British roads are named. 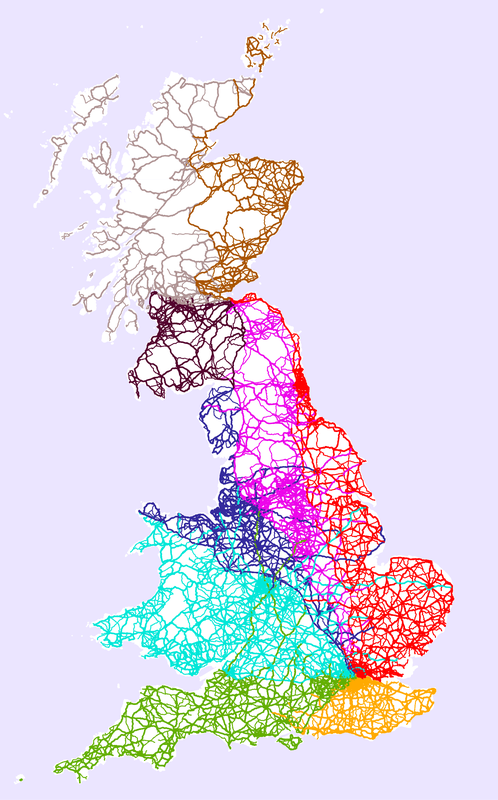 The following map shows A and B roads in the UK coloured by the first number of the road name. Note that the numbers 1-6 radiate from London and (in a surprising act of England / Scotland equality) 1 & 6-9 radiate from Edinburgh.